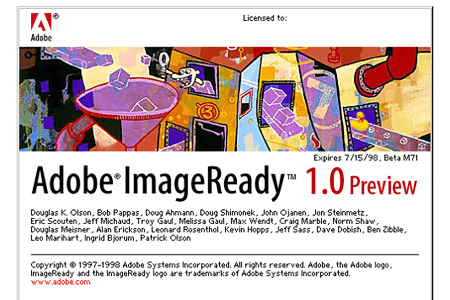 Adobe Systems released a raster graphics editor called Photoshop 1.0. 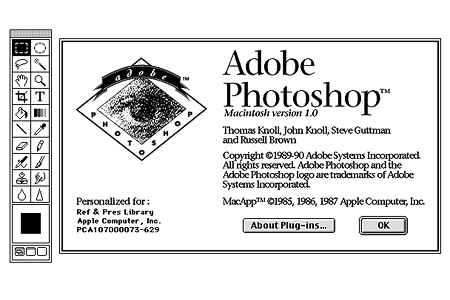 The program was only available for the Macintosh platform (Mac System 6.0.3) and required at least 2 MB of RAM and an 8 MHz processor for its operation. 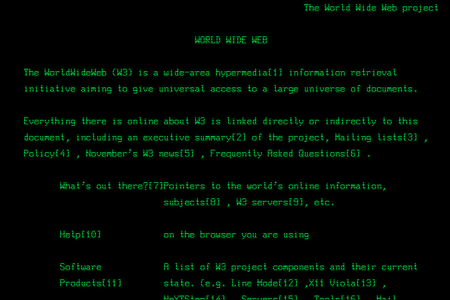 At CERN, a Swiss research center, a British physicist and internet pioneer Tim Berners-Lee created the world's first web browser, called WorldWideWeb. 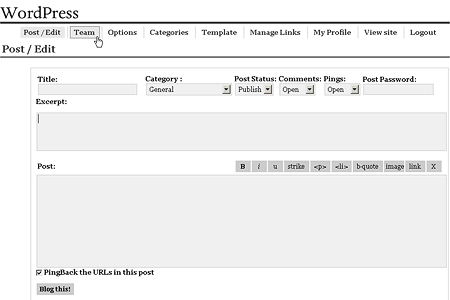 The browser was also a simple WYSIWYG (What You See Is What You Get) editor for editing web pages. 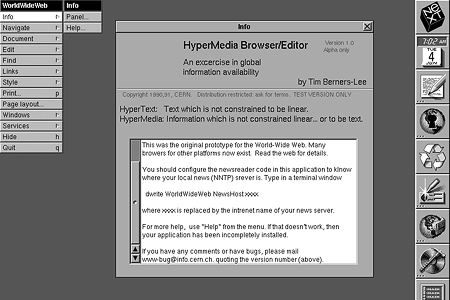 WorldWideWeb only worked with the NeXTStep operating system. 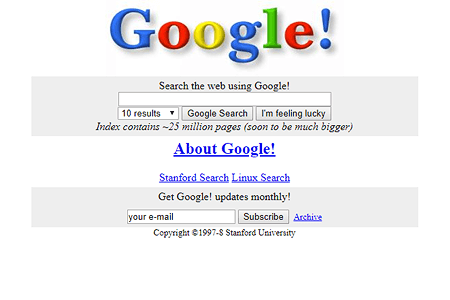 Later, the browser was renamed Nexus to avoid confusion with the World Wide Web (WWW). 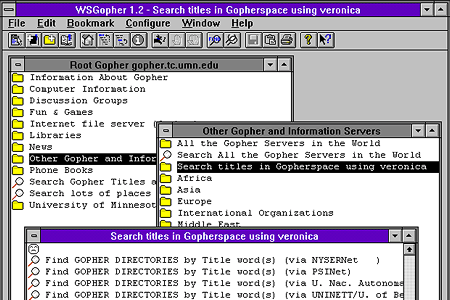 Gopher system was created at the University of Minnesota as a text-based system that used the hierarchical menu structure for navigation. It was a system working on a client-server basis. Gopher integrated the services of FTP, Usenet, Veronica, Archie and WAIS. Since 1996, Gopher has been on a decline and is currently used very rarely. 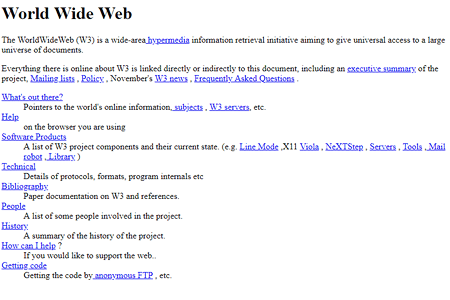 The World Wide Web (WWW) creator, Tim Berners-Lee launched the world's first website at http://info.cern.ch/hypertext/WWW/TheProject.html. 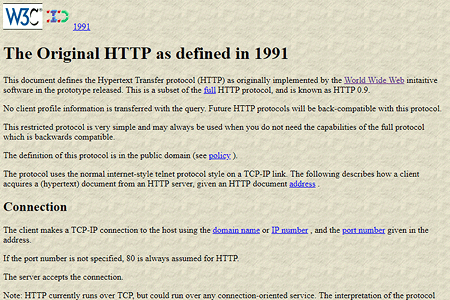 Unfortunately, the original website has not been preserved until today and the link shows only its 1992 copy. 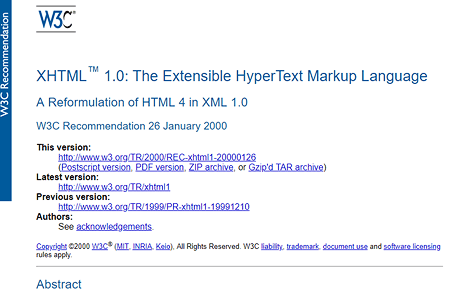 The internet pioneer, Tim Berners-Lee, published a document entitled HTML Tags. 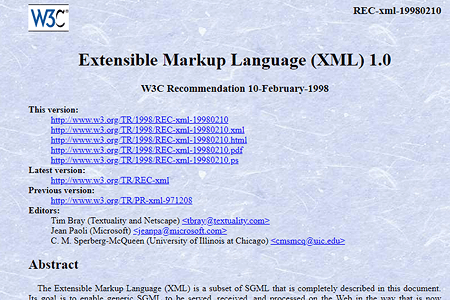 The document contained a description of the first 18 HTML tags: <title>, <nextid>, <a>, <isindex>, <plaintext>, <listing>, <p>, <h1>…<h6>, <address>, <hp1>, <hp2>…, <dl>, <dt>, <dd>, <ul>, <li>,<menu> and <dir>. 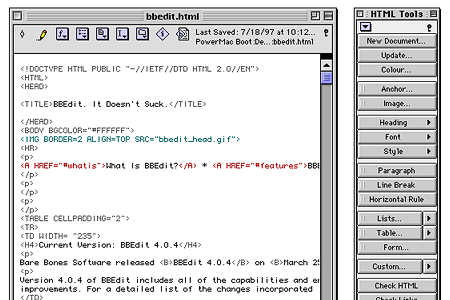 The design of the first version of HTML language was influenced by the SGML universal markup language. Silvano de Gennaro, an Italian computer scientist who worked at CERN research labs, was asked by Tim Berners-Lee to scan and upload a photo of a parody pop-group called Les Horribles Cernettes (The Horrible CERN Girls) onto the info.cern.ch website. The photo became one of the first images to be published on the World Wide Web. Steven Foster and Fred Barrie developed a search engine called Veronica at the University of Nevada. 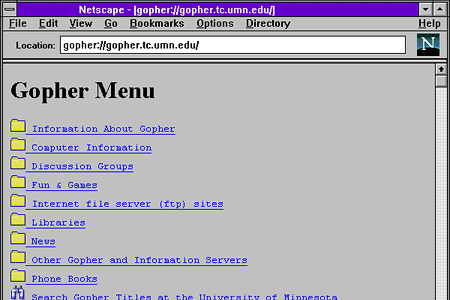 The search engine was used to browse and index information in Gopher menu items. The name Veronica is an acronym for “Very Easy Rodent-Oriented Net-wide Index to Computer Archives”. Students Marc Andreessen and Eric Bina from the University of Illinois programmed one of the first web browsers with a graphical interface. 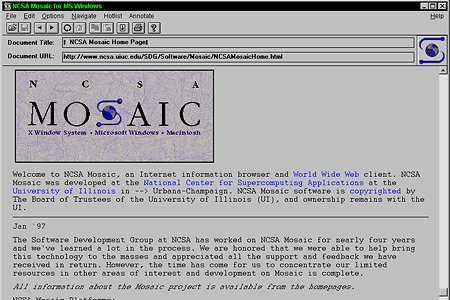 Mosaic (full name NCSA Mosaic) worked on multiple platforms including Windows and was available for free, thanks to which it gained worldwide popularity among the general public shortly after being launched. Its development officially ended on January 7, 1997. 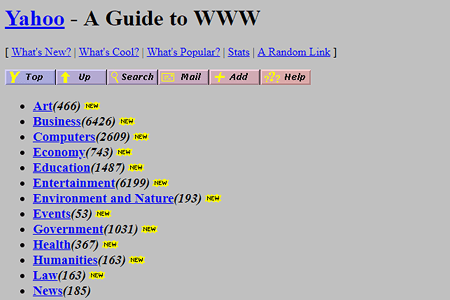 Jerry Yang and David Filo, two Ph.D. students from Stanford University, created a list of websites entitled "Jerry and David's Guide to the World Wide Web." 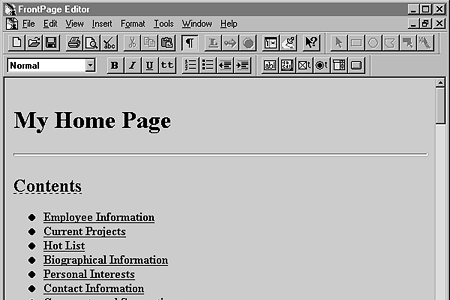 In March 1994, the portal was renamed Yahoo! and the yahoo.com domain was registered on January 18, 1995. Yahoo is an acronym for “Yet Another Hierarchical Officious Oracle”. 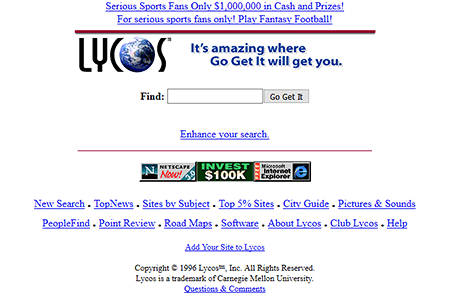 In March 1995, the Yahoo! 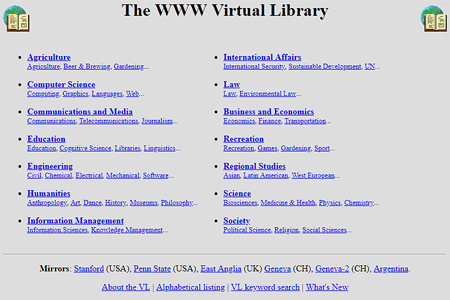 search engine was launched as part of the portal. 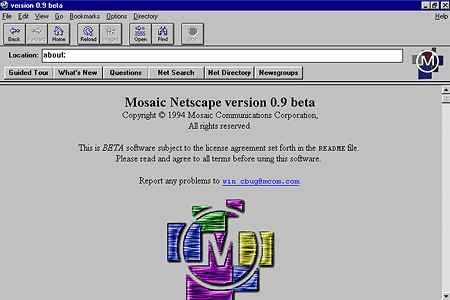 The Mosaic Communications Corporation (renamed Netscape Communications Corporation on November 14, 1994) launched, under the name Mosaic Netscape 0.9, the first one in a series of browsers, called Netscape Navigator in the subsequent versions. 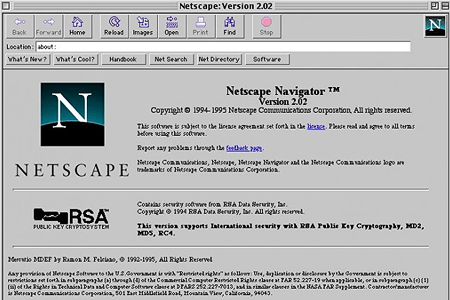 Shortly after being released, Mosaic Netscape 0.9 and Netscape Navigator 1.0 (released on December 15, 1994) became widely popular and, within a few months, assumed a dominant position on the market. The AT&T Telecommunications Company placed the first web banner in Internet history on the HotWired magazine website. The first web banner in the world was 476x56 px and contained only the phrase "Have You Ever Clicked Your Mouse Right Here?". Clicking on the banner led to a virtual tour of world galleries and museums. The Norwegian company Opera Software first introduced to the public a new MultiTorg Opera 1.0 web browser that used MDI (Multiple Document Interface) technology. The use of MDI enabled users to simultaneously open several windows of webpages within the browser. 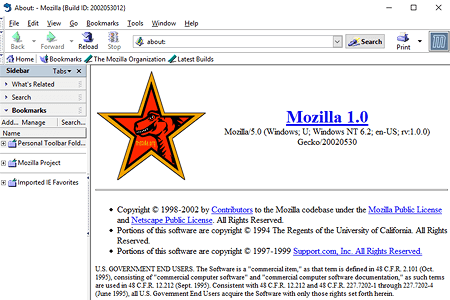 As of version 2.0, the browser’s name was shortened to Opera. Michael Loren Mauldin from Carnegie Mellon University developed one of Lycos's oldest search engines. The name of the search engine is derived from Lycosidae, a Latin name for a family of wolf spiders. 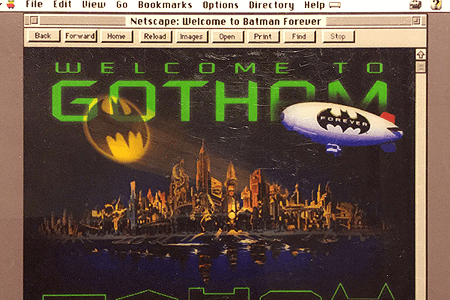 Three web designers - Jeffrey Zeldman, Steve McCarron and Alec Pollak - created an official website for Batman Forever. 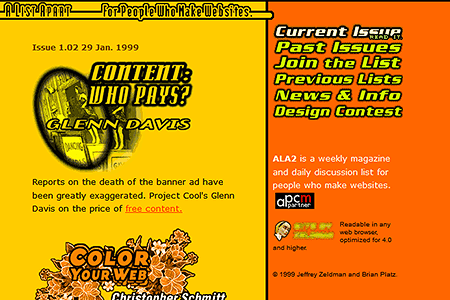 At the time, it was one of the first web projects that used the WWW service as a marketing and visual medium. 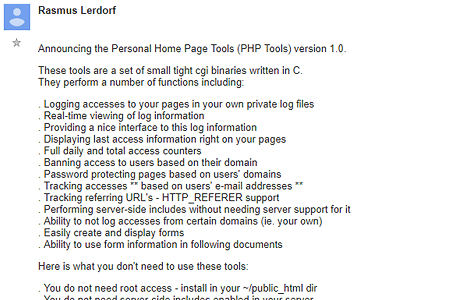 The Danish-Canadian programmer Rasmus Lerdorf designed the first version of the popular PHP 1.0 scripting language. 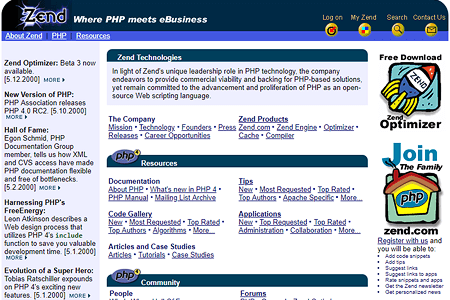 The term PHP originally stood for Personal Home Page. In 1997, Israeli developers Andi Gutmans and Zeev Suraski rewrote the parser to create the basis for PHP 3. They also changed the name of the language to a recursive acronym for PHP: Hypertext Preprocessor. Microsoft released, as a part of its bonus package, the Windows 95 Plus! 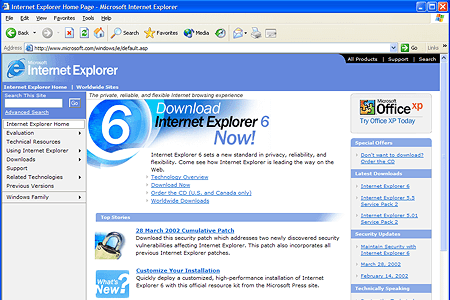 Jumpstart Kit (later also known as the Internet Connection Wizard), which included Internet Explorer 1.0. 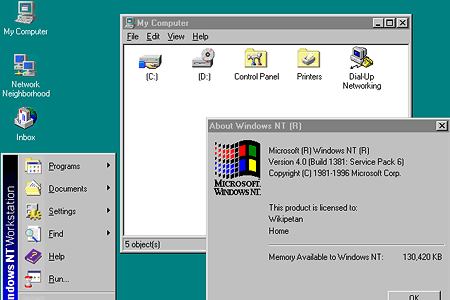 In the original version of Windows 95, a web browser was not available, as Microsoft underestimated the potential of the rapidly developing Internet. 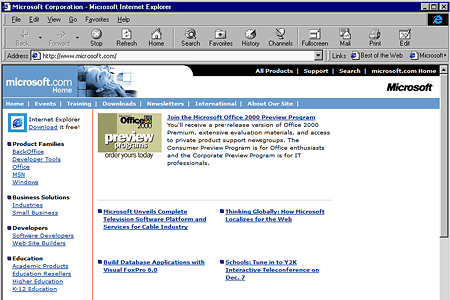 The source code for Internet Explorer 1.0 was based on the older Spyglass Mosaic browser for which Microsoft purchased license rights. Internet Explorer 1.0 occupied only 1 MB of disk space and its features were considerably limited compared to other browsers at the time. An Iranian-American programmer, Pierre Omidyar, programmed a simple auction website called AuctionWeb. The first item Pierre Omidyar allegedly sold on the portal was his own broken laser pointer for $ 14.83. 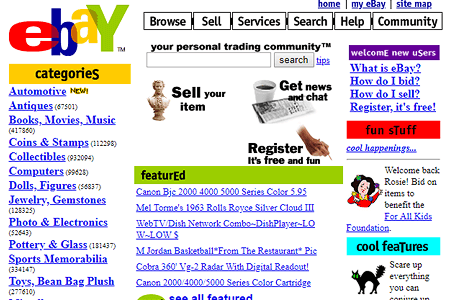 In September 1997, the portal was officially renamed to eBay. In October 2002, eBay switched to the PayPal online payment system and in 2005, eBay bought Skype VoIP. 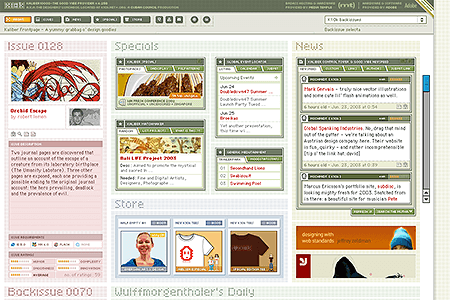 Vermeer Technologies developed the FrontPage 1.0 editor for WYSIWYG web development. 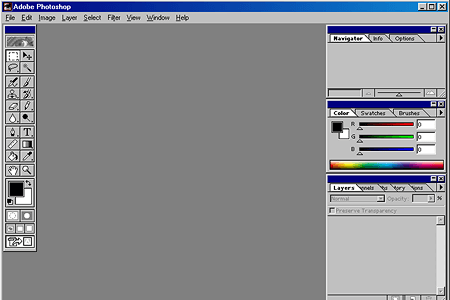 In January 1996, Microsoft bought Vermeer and, in April 1996, released an editor called Microsoft FrontPage 1.1. Microsoft expected that extending its software portfolio to a web editor would provide a considerable advantage in the impending browser wars. 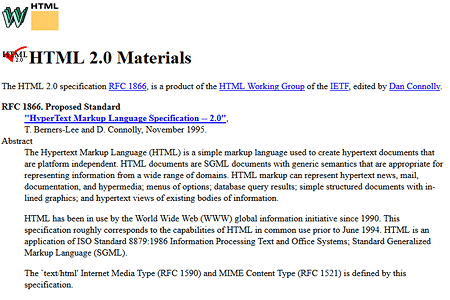 The IETF organization published the RFC 1866 specification for HTML 2.0. 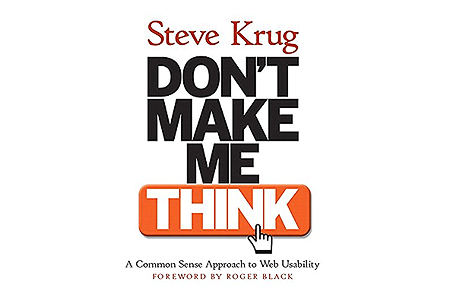 HTML 2.0 supported forms, tables, graphics, and a number of new tags, such as <!DOCTYPE>, <head>, <body>, <form>, <img>, <input>, <select>, <strong> and others. Adobe Systems released a WYSIWYG HTML editor called Adobe PageMill 1.0. 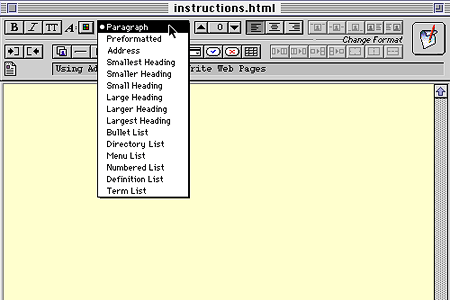 The editor allowed users to easily create websites without any knowledge of the basics of HTML. 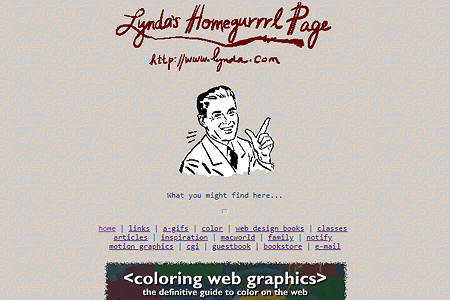 Lynda Weinman, a computer instructor and graphic designer, launched one of the first online libraries of training courses for web developers at lynda.com. 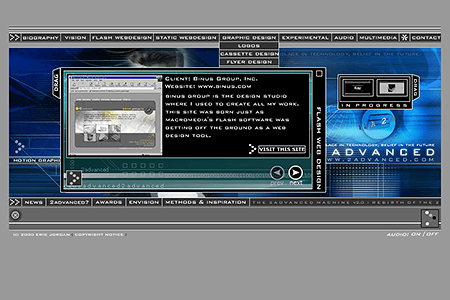 In the Digital Equipment Corporation research laboratories, a team of researchers led by Louise Monier and Michael Burrows created the AltaVista search engine. Thanks to high-performance hardware, AltaVista was able to perform a quick full-text search across a wide range of websites. In 1997, the first free online translator Babel Fish became part of AltaVista. 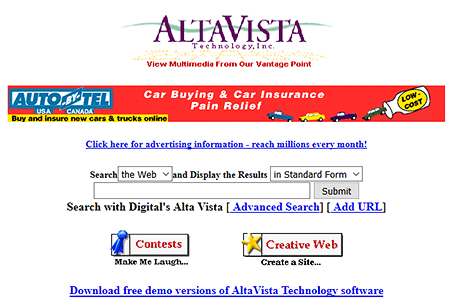 In 2003, AltaVista was taken over by Yahoo! and due to Google's dominant position among search engines, the AltaVista project was terminated on July 8, 2013. Brewster Kahle and Bruce Gilliat founded a company called Alexa Internet. 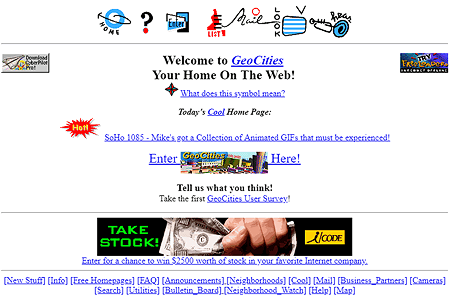 The company's original vision was to develop advanced web navigation that would continually improve itself on the basis of user-generated data. 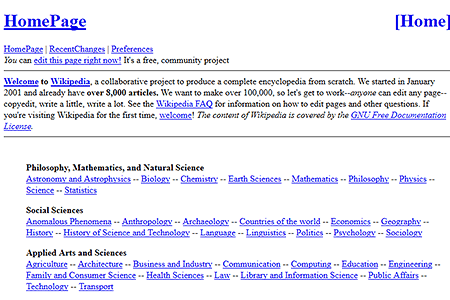 For this purpose, the Alexa toolbar 1.0 was created in 1997 as an extension of the browser. 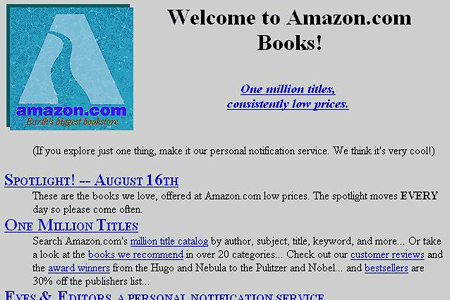 In 1999, Alexa Internet was bought by Amazon. To archive various types of digital documents (websites, music, software, video, books, etc. 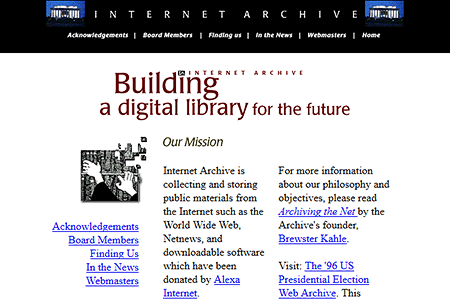 ), Brewster Kahle founded a non-profit organization called the Internet Archive. 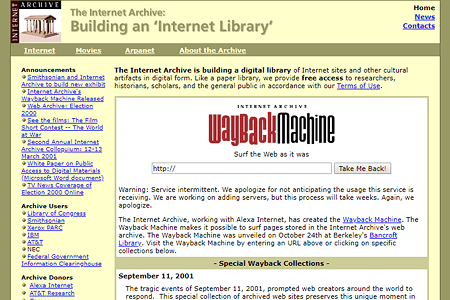 The Internet Archive digital library is currently the largest archive of digital documents in the world. Since 1996, more than 339 billion websites have been stored in the archive (*as of October 2018). 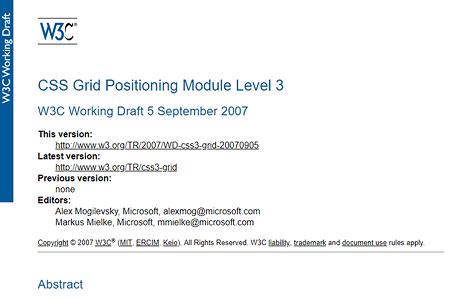 Microsoft developed Active Server Pages (ASP 1.0), a server-side script engine for dynamically generated websites. A distinctly modified and improved ASP technology, ASP.NET 1.0, was released in January 2002. 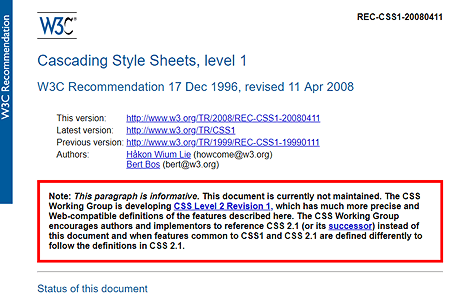 W3C issued official recommendations for language specification, Cascading Style Sheets, level 1 (CSS1). 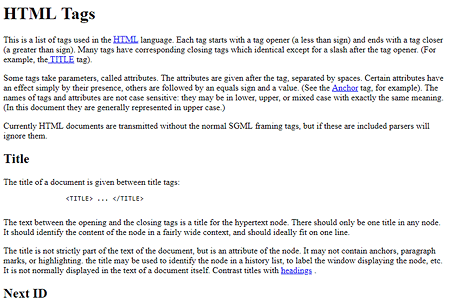 Cascading styles describe how to display elements in documents written in HTML, XHTML, and XML markup languages. 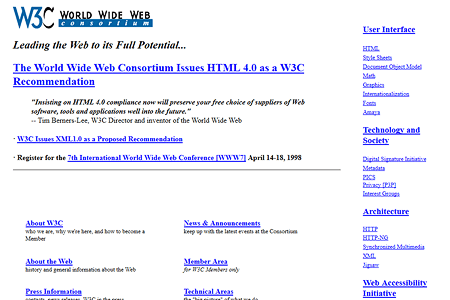 The first proposal of "Cascading HTML Style Sheets" was published in October 1994 by a Norwegian programmer Håkon Wium Lie, who was working at CERN under Tim Berners-Lee at the time. In the following months, Bert Bos, a Dutch developer, significantly contributed to CSS1 specification development. 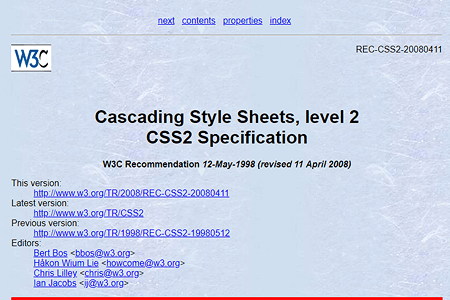 In 1997, Håkon Wium Lie and Bert Bos published one of the first cascading style books entitled Cascading style sheets: designing for the Web. 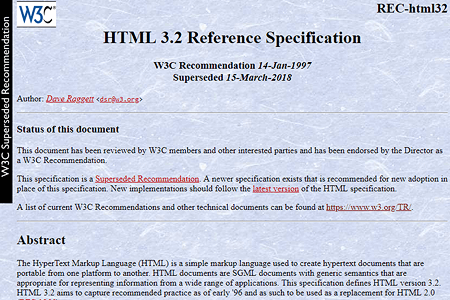 W3C issued a final recommendation specifying the HTML 3.2 markup language. 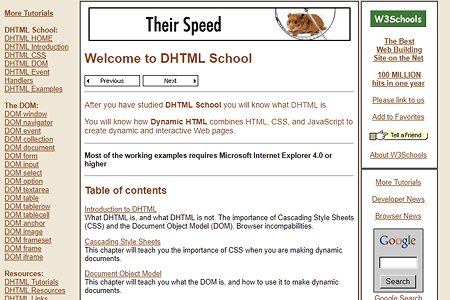 The original HTML 3.0 version had never become a standard, as it was too complicated, and the leading Microsoft and Netscape developers had a problem implementing it. 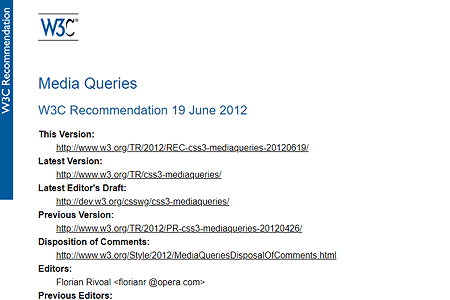 In the HTML 3.2 specification, among others, new tags appeared, such as <center>, <div>, <font>, <script>, <style>. 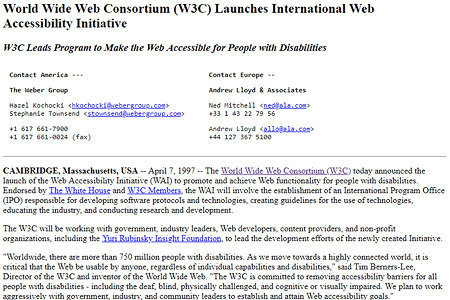 As part of the W3C consortium, the Web Accessibility Initiative (WAI) officially launched its activity. The main goal of the WAI project is to improve the accessibility of websites and WWW services for users with disabilities. Search Engine Optimization (SEO) is a term indicating a set of techniques and rules that are applied to provide a better position of websites in search results for selected keywords. The first use of the term is not fully documented. 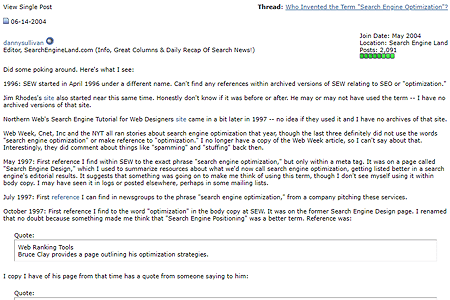 According to Danny Sullivan, founder of Search Engine Watch, the term Search Engine Optimization first appeared in May 1997. 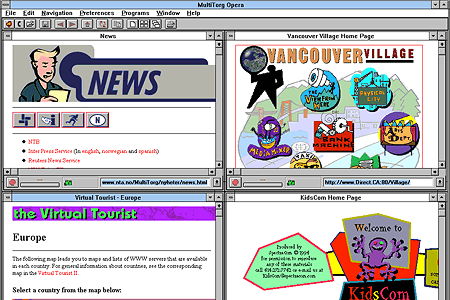 At the time of the culmination of the first browser war, Netscape released Netscape Communicator 4.0, a web application suite. 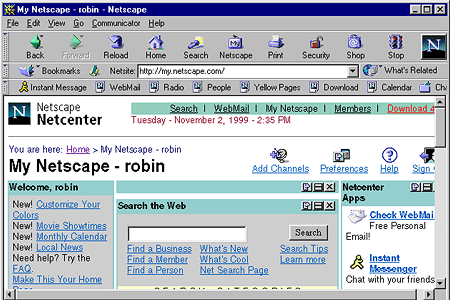 It included, for example, Netscape Navigator 4.0 web browser with CSS 1 support, Netscape Messenger email client, Netscape Composer HTML editor and Netscape Calendar. 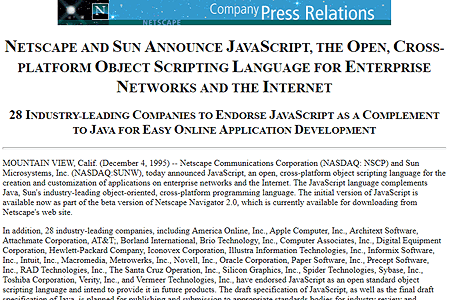 In January 1998, Netscape announced that the subsequent versions of the software will be developed as open source projects under Mozilla and will be available to users free of charge. 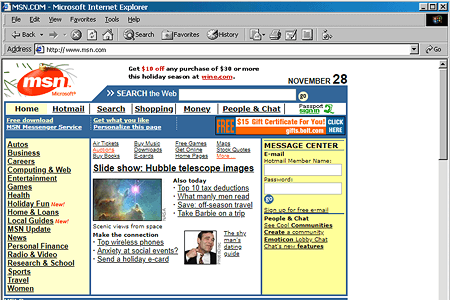 Microsoft released Internet Explorer 4.0. IE 4.0 was integrated into the Windows 95 and Windows 98 operating systems and was freely available for the Mac OS, Solaris and HP-UX platforms. The distribution methods and integration of Internet Explorer into Windows subsequently became one of the subjects of legal proceedings between the US government and Microsoft over the abuse of a dominant market position. 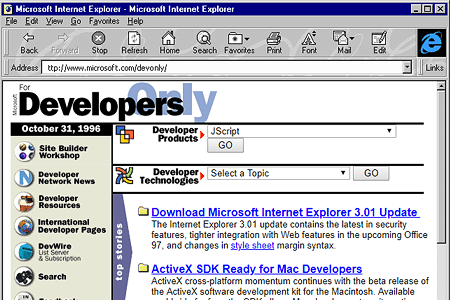 Internet Explorer 4.0 gained more than 60% market share at the beginning of 1999, contributing significantly to Microsoft winning over Netscape in the so-called first browser war. 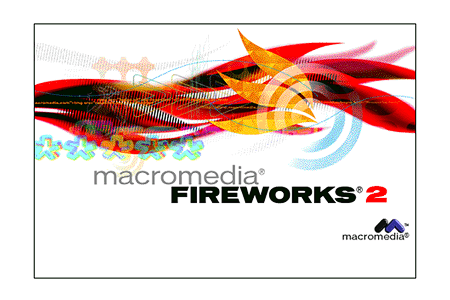 Macromedia released the first version of the popular Dreamweaver 1.0 website editor. 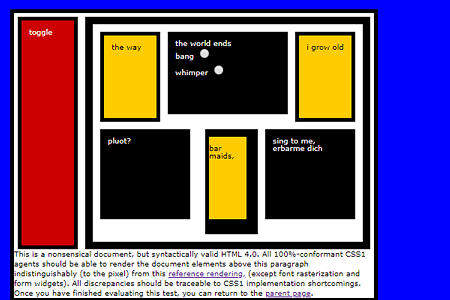 The editor allowed users to switch between text and WYSIWYG (What You See Is What You Get) mode. 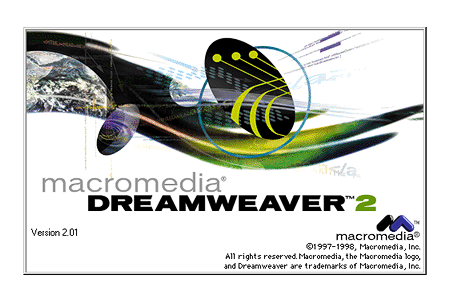 The first version of the Dreamweaver editor was only available for Mac OS, and in March 1998, a version for Windows was released. 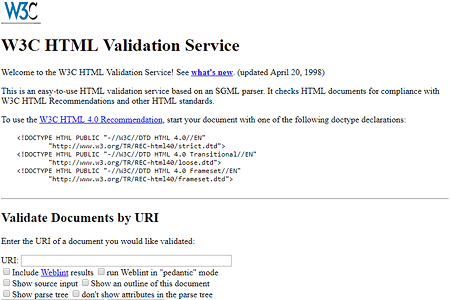 W3C announced the launch of the W3C HTML Validator. 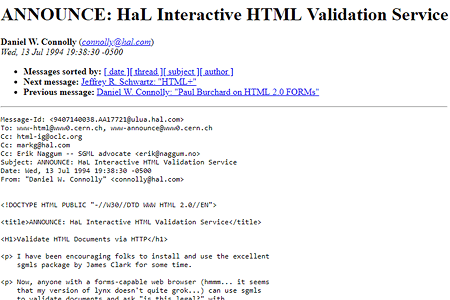 The tool for the validation of documents (HTML, XHTML, MathML, etc.) 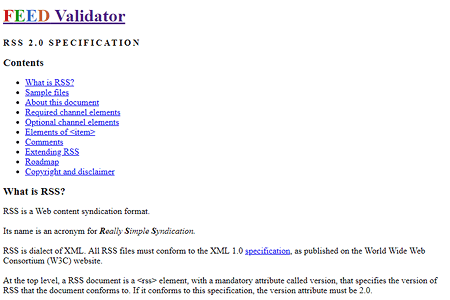 was based on an older project entitled The Kinder, Gentler HTML Validator, created by Gerald Oskoboina. 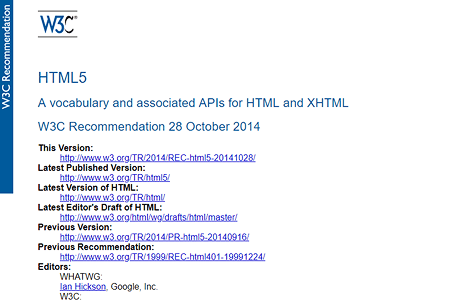 W3C published official recommendations for the HTML 4.0 specification. 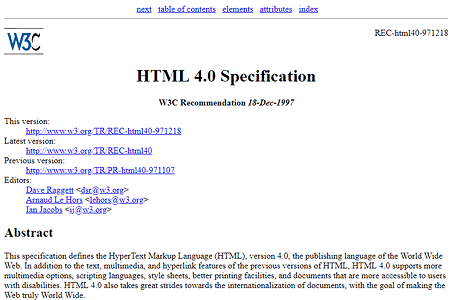 The HTML 4.0 specification was divided into three variants: Strict, Transitional, and Frameset, and its aim was to separate the HTML semantics and the document layout (formatted using only CSS) into two separate parts. 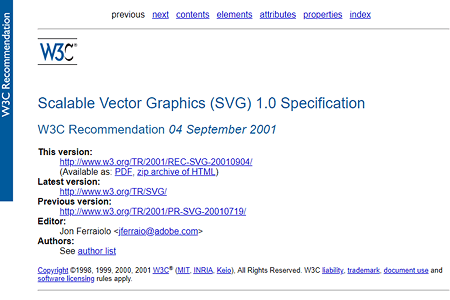 In December 1999, recommendations were published for a revised version, HTML 4.01. 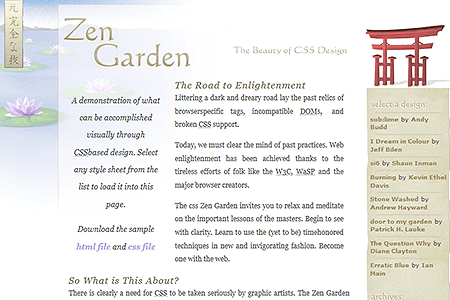 The Canadian web designer Dave Shea launched a community gallery of websites called CSS Zen Garden. The project offered a simple HTML template to be downloaded, the graphic design of which could be customized by any web designer, but only with the help of cascading styles and one’s own pictures. 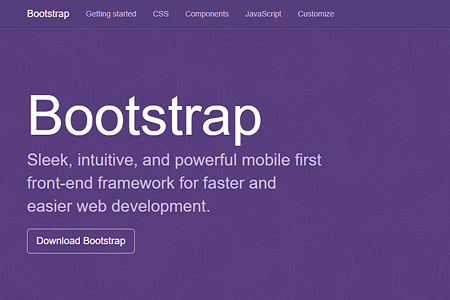 The goal of the project was to demonstrate the various possibilities of CSS in creating visual web design. The CSS Zen Garden gallery exhibited hundreds of examples of diverse web design, all based on a single template containing the same HTML code. Web designer and founder of A List Apart magazine, Jeffrey Zeldman, published a book entitled Designing with Web Standards. 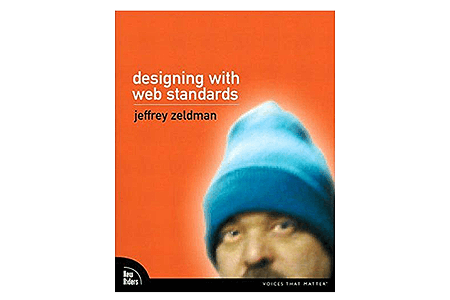 In his book, Jeffrey Zeldman explores the benefits of implementing web standards. Using standards correctly allows web designers to create accessible and user-friendly websites that work well in a wide range of browsers. Web developers Matt Mullenweg and Mike Little created the first version of the open source content management system called WordPress 0.7. The publishing system is based on PHP and MySQL technology and is developed under the GNU GPL free software license. 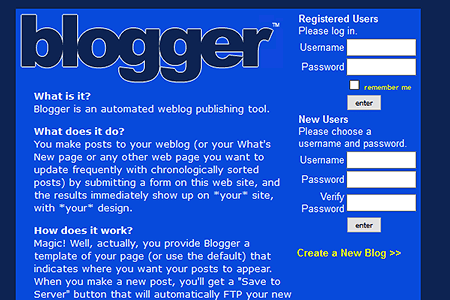 The predecessor of WordPress was the b2/cafelog blogging platform. WordPress is currently the most popular content management system, and more than 30% of websites are using it worldwide. Apple introduced its own web browser, Safari 1.0. 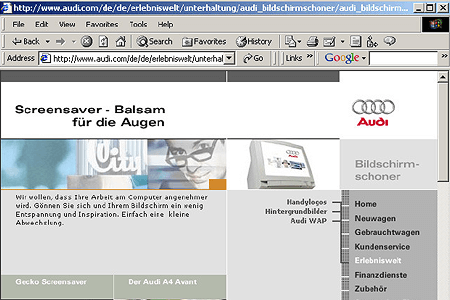 The browser uses the WebKit renderer to display website content. 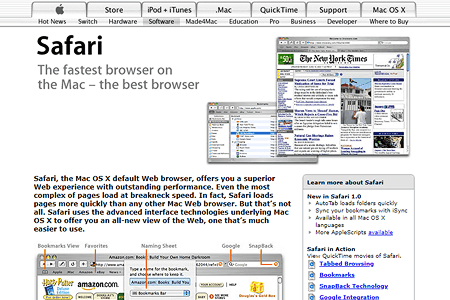 Safari 1.0 was initially available for download as a standalone program, but, in October 2003, it became the default Mac OS X 10.3 operating system browser. Tom Anderson and Chris DeWolfe founded the MySpace social network. Its concept was inspired by the then popular social network called Friendster. 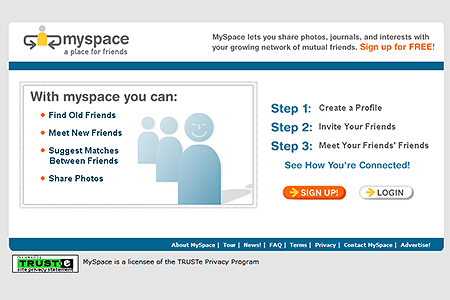 MySpace popularity skyrocketed, and by February 2004, the network had acquired one million users. Between 2004 and 2010, MySpace was one of the largest social networks worldwide. In April 2008, however, the number of unique monthly users was surpassed by Facebook, and since then the popularity of MySpace has been on a continuous decline. 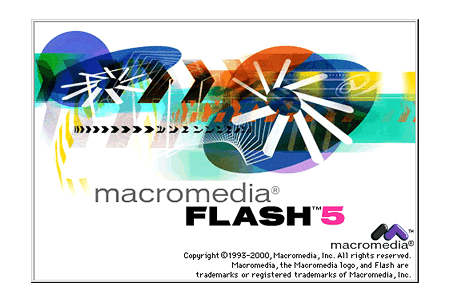 Macromedia released the Macromedia Flash MX 2004 multimedia program, which included a new version of the object-oriented programming language ActionScript 2.0. 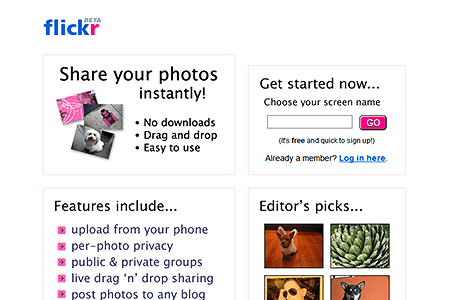 Ludicorp launched a photo sharing community website called Flickr. In March 2005, Flickr was bought by Yahoo!. Flickr is a typical representative of Web 2.0, which means that the content of the website is created and shared primarily by the users themselves. 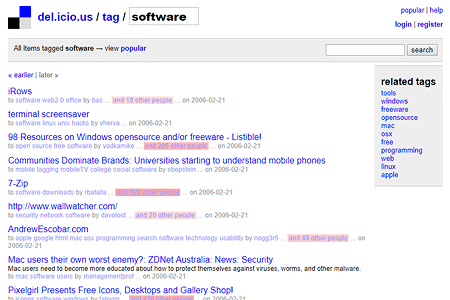 Flickr was one of the first community websites which allowed tagging of photographs. In 2015, the number of photos posted on Flickr exceeded 10 billion. 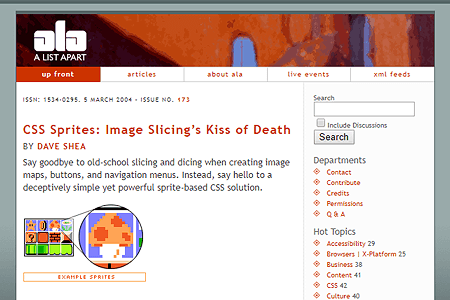 In “A List Apart” webzine, Dave Shea published an article entitled "CSS Sprite: Image Slicing's Kiss of Death." 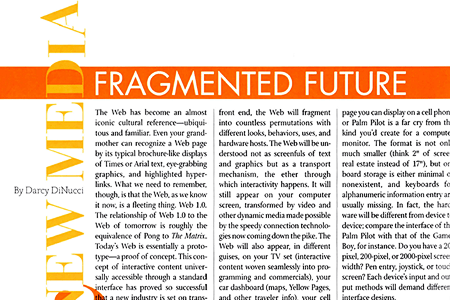 In the article, the author described a technique called CSS Sprites, the basis of which was to connect several smaller graphic elements into one larger image. 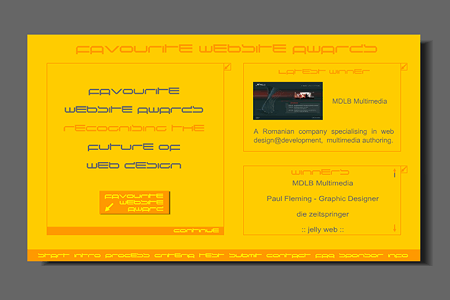 The graphic elements are then placed on the website using the background-position feature. 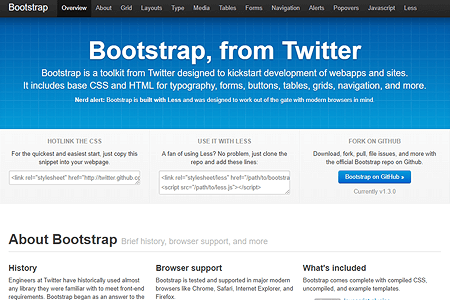 Thanks to CSS Sprites, a website loads faster because it only uploads one image, reducing the number of HTTP requests. 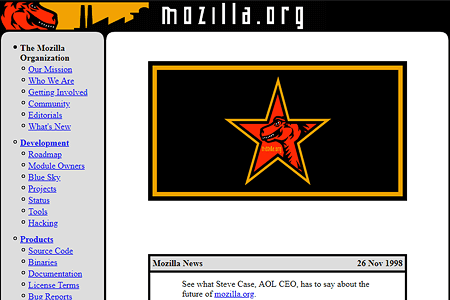 Mozilla Corporation released a multiplatform web browser, Firefox 1.0. 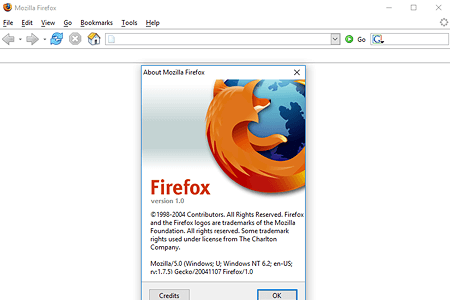 Compared with browsers from the Internet Explorer family, Firefox 1.0 was characteristic for its higher security, better web standards support, and a number of plug-ins that could be additionally installed. As a result, Firefox gained major popularity among users and exceeded 1 billion downloads between 2004 and 2009. The name Firefox was allegedly derived from the English translation of the Chinese name for the red panda. Three former PayPal employees, Chad Hurley, Steve Chen and Jawed Karim, launched the YouTube website for publishing and sharing video files. The first video called "Me at the zoo" was uploaded to YouTube on 23 April, 2005 by one of the co-founders, Jawed Karim. It was a short video from the San Diego zoo. 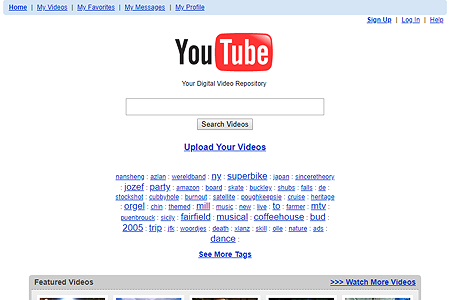 In November 2006, YouTube was purchased by Google for $ 1.65 billion. Alex Tew, a British student, launched the Million Dollar Homepage, which soon became an example of successful viral marketing and an Internet phenomenon. 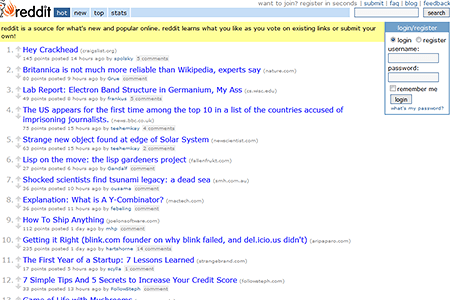 The page was a million pixels divided into a 1000x1000 px grid. Alex Tew offered to sell 1 pixel for a dollar, with the smallest advertising space an advertiser could buy for their link being 10x10 px. The Million Dollar Homepage gained unprecedented popularity in a very short time, and the last 1000 pixels were sold on January 1, 2006 at an eBay auction. In April 2005, Google took over the Urchin Software Corporation, which was developing a tool for the acquisition of statistical data about website users. 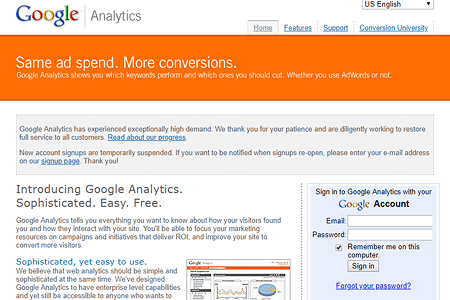 In November 2005, Google launched an enhanced version of this tool under the name Google Analytics. 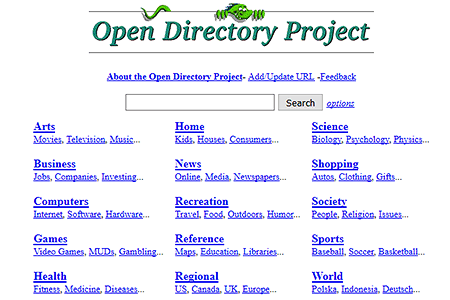 Since 2006, the basic version of this service has been available for free. Website owners can track traffic, analyze user behavior, and record conversions. Google Analytics is currently the most widely used web analytics tool. 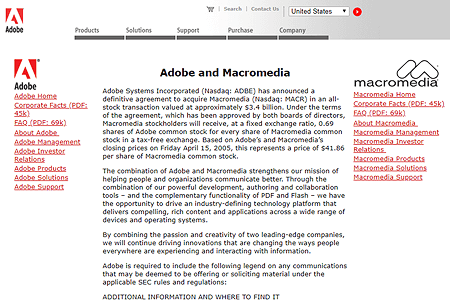 Adobe Systems bought its rival company, Macromedia, for $ 3.4 billion. 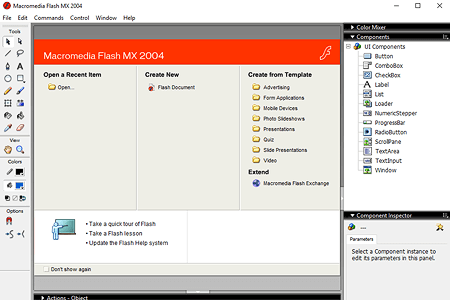 Programs such as ColdFusion, Captivate, Director, Dreamweaver, Fireworks, Flash, Flex, FreeHand, and HomeSite were added to the Adobe software portfolio. 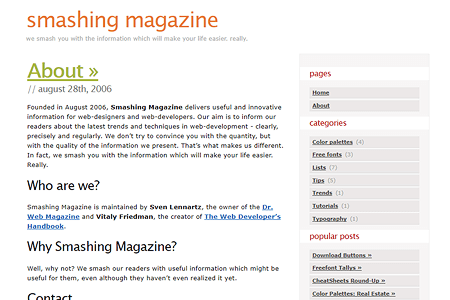 Sven Lennartz and Vitaly Friedman created a portal for web designers and developers called Smashing Magazine. The portal provides regular news from the world of web design, user experience, or web development. Smashing Magazine also publishes research publications and organizes regular conferences and workshops. 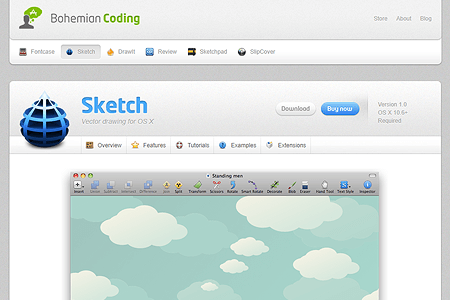 Smashing Magazine is currently the most visited web site for web design and related fields. 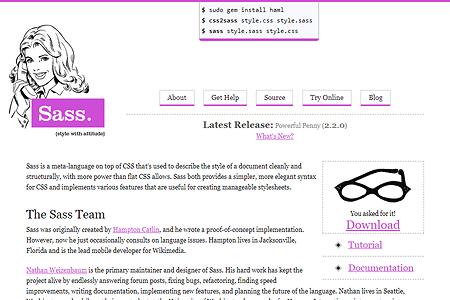 Hampton Catlin and Natalie Weizenbaum designed a CSS preprocessor called Sass 0.1.0 (Syntactically awesome style sheets). Sass preprocessor is a scripting language interpreted or compiled into cascading styles. To the CSS syntax, Sass adds variables, mixins, selector inheritance, nesting rules, arithmetic operators, and other features. 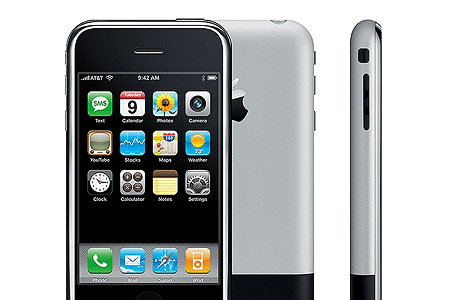 At Macworld Conference & Expo, Steve Jobs introduced the first iPhone smartphone model. 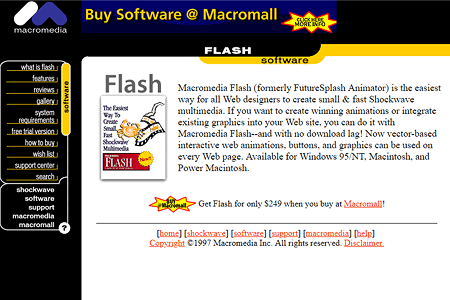 The phone included the Safari web browser, allowing users to surf the web at ease. 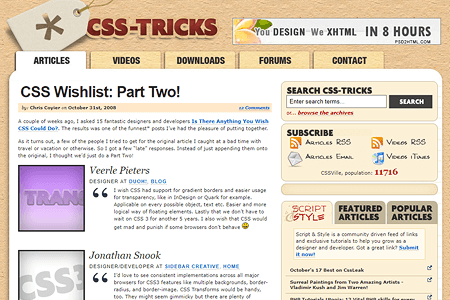 Chris Coyier, a web designer, established the CSS-Tricks portal. The portal brings web designers daily news and tutorials from the world of web design, particularly focusing on cascading styles. Scott Belsky founded the Behance 1.0 community platform, which allows designers, photographers, and artists from different fields to present their creative work in the form of online portfolios. 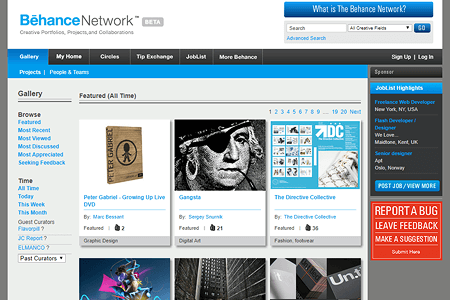 In December 2012, Behance was purchased by Adobe Systems. 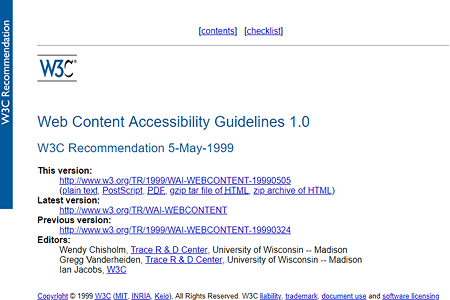 W3C issued official recommendations for a second set of Web Content Accessibility Guidelines (WCAG 2.0). 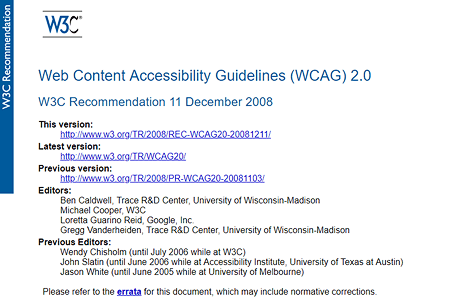 WCAG 2.0 is divided into 4 basic principles, according to which the content and web control features must be perceptible, operable, understandable and robust enough to work with today's and future technologies. The basic principles of WCAG 2.0 consist of 12 general rules that are linked to the control criteria for which web content can be tested. There are three levels which refer to the extent to which the content satisfies the requirements: A (lowest), AA, AAA (highest). The internet social networking site Facebook introduced its “like button” feature for the first time. 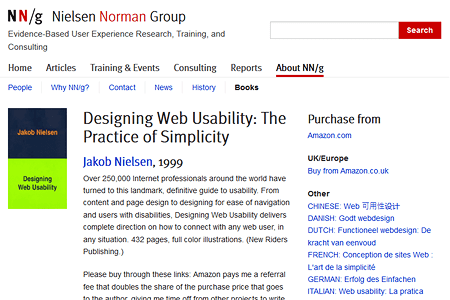 Clicking the button with a thumb up icon indicates a user's positive reaction to the content of the web page on which the button is located. In 2011, Google introduced a similar button to mark one’s favorite content called the +1 button for its Google+ social network. 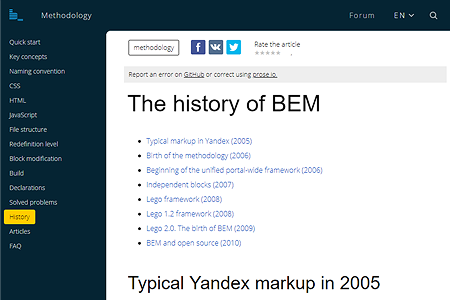 In 2005, a team of developers of the Russian search engine Yandex began working on a new methodology that allowed for unambiguous naming of classes in CSS. 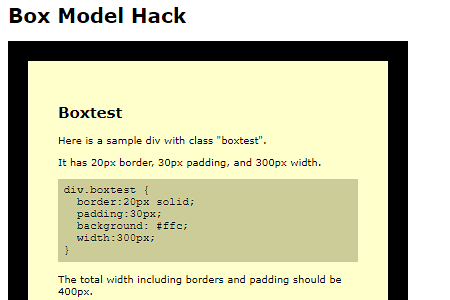 In 2009, the new CSS naming convention was called BEM, standing for Block, Element, Modifier. 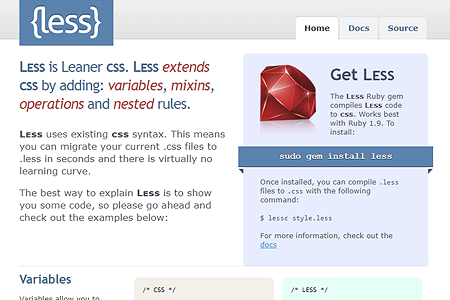 Alexis Sellier designed a CSS preprocessor called Less 1.0, a dynamic styling language for cascading styles. The Less language was influenced by the existing Sass preprocessor. 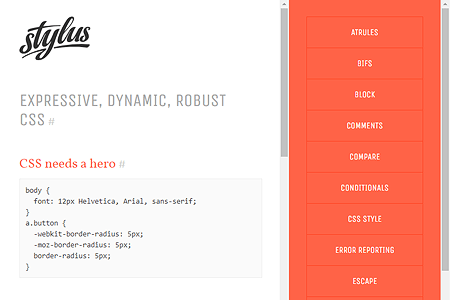 Less adds variables, mixins, arithmetic calculations, nesting rules and functions to the CSS syntax. 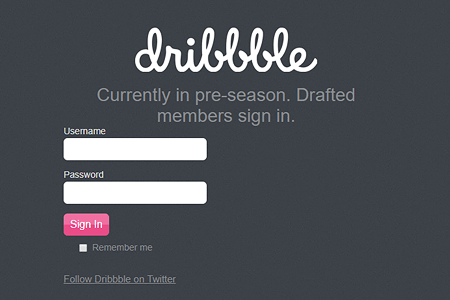 Dan Cederholm and Rich Thornett founded the Dribbble design community portal. Graphic designers, illustrators, web designers, typographers, and other related creative professionals can share their work on Dribbble in 400x300 px. 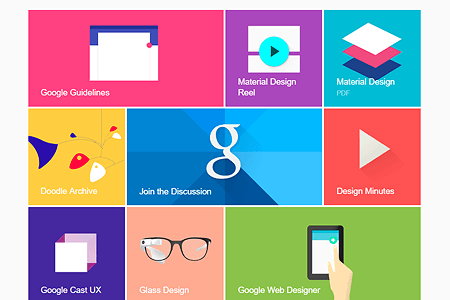 Dribbble is currently the largest community website for designers. 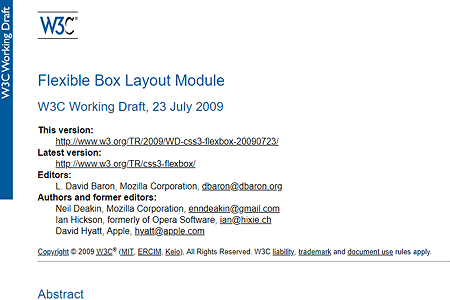 W3C issued the first proposal of the CSS Flexible box layout (Flexbox) specification. Flexbox introduces a new way of creating web layout, an easier alignment of elements and a better distribution of space with respect to the device's display resolution. Flexbox features are currently supported in most major browsers. 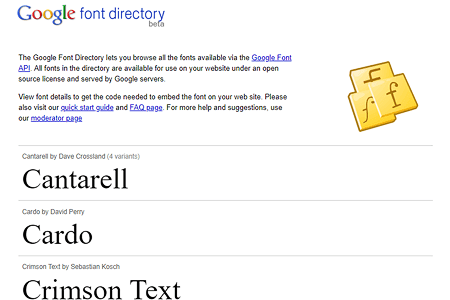 Small Batch launched a cloud library of web fonts called Typekit. Typekit works on a subscription basis and offers an extensive font library that developers can place on a website using the @font-face CSS rule. 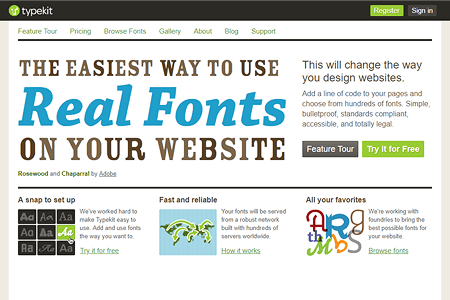 In October 2011, Typekit was purchased by Adobe Systems. A prestigious gallery of highly creative and innovative CSS-based websites in terms of design was launched under the name CSS Awards. The portal gives awards in several categories based on the vote of the community of visitors and a panel of judges. 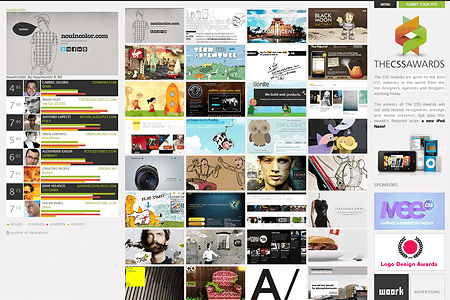 On February 24, 2011, the portal was named Awwwards, and as of 2014, it holds regular conferences. 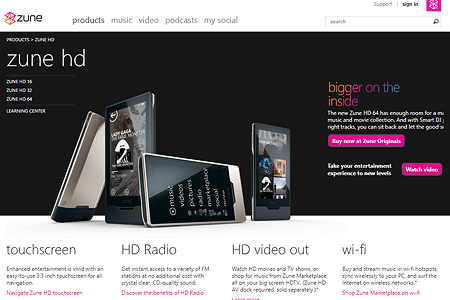 Microsoft started selling the first model of the Zune handheld multimedia player. The simple and clean design of Zune control features is considered to be one of the first uses of flat design in user interface. 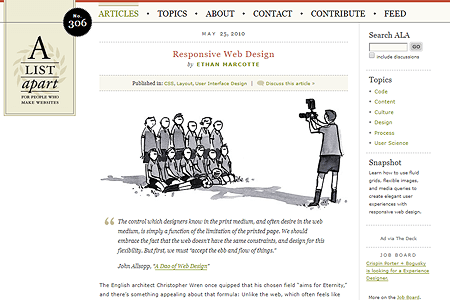 Web designer Ethan Marcotte published an article entitled "Responsive Web Design" in the online magazine A List Apart. The author describes a new way of styling HTML documents which allows for an optimization of website content display with regard to resolution or display size. Basic responsive web design techniques include fluid grid, flexible images, and CSS3 module media queries. 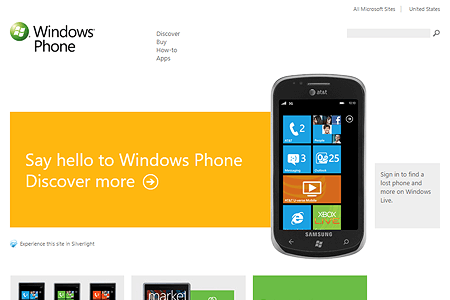 Microsoft launched Windows Phone 7, a mobile phone whose user interface was created using flat design. The new visual style received positive feedback, and Microsoft used flat design elements in the design of the Windows 8 graphics interface. Flat design has also gained considerable popularity among web designers and has become one of the major visual trends in web design after 2010 along with skeuomorphism and material design styles. 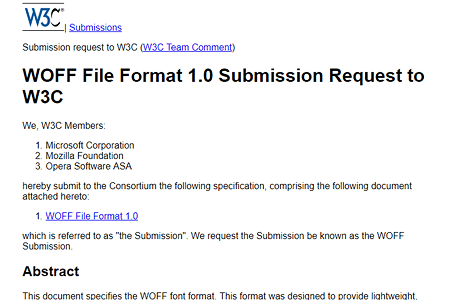 W3C adopted the final recommendation for the HTML5 markup language. The HTML5 version has brought an improved browser multimedia playback support, new semantic tags that better define page structure, offline application support, and the <canvas> tag that can interpret vector graphics with an option to insert images. Adobe Systems announced that it would cease support for Flash in 2020 and would no longer issue additional security updates for Adobe Flash Player. 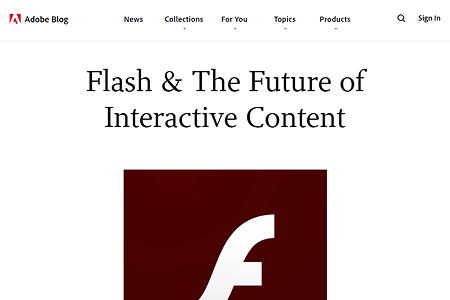 In the field of web multimedia and interactivity, Flash became gradually replaced by HTML5, WebGL, or WebAssembly technology.